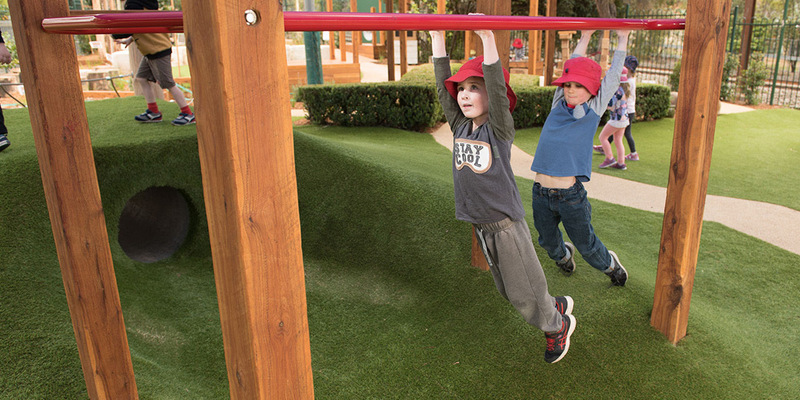 This Centre had some well loved features to retain, with the surrounding space planned to create a series of usable spaces that catered for a variety of uses. 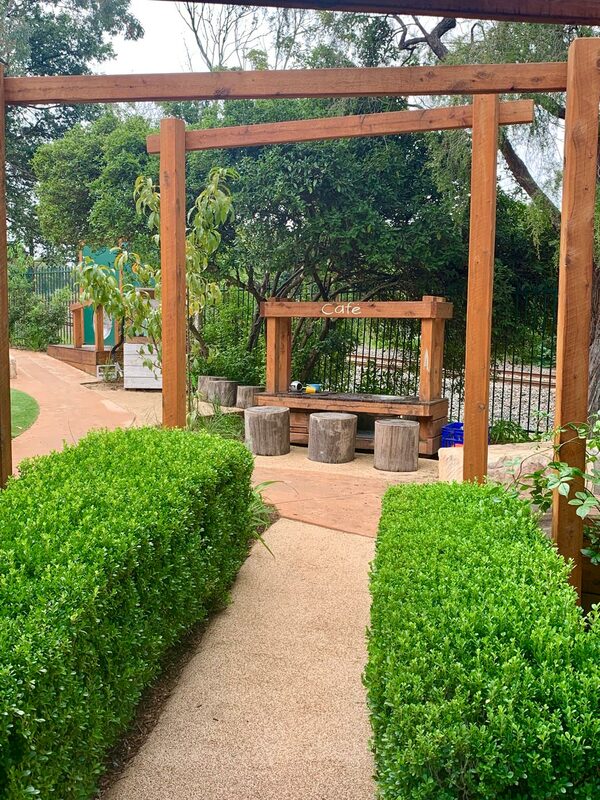 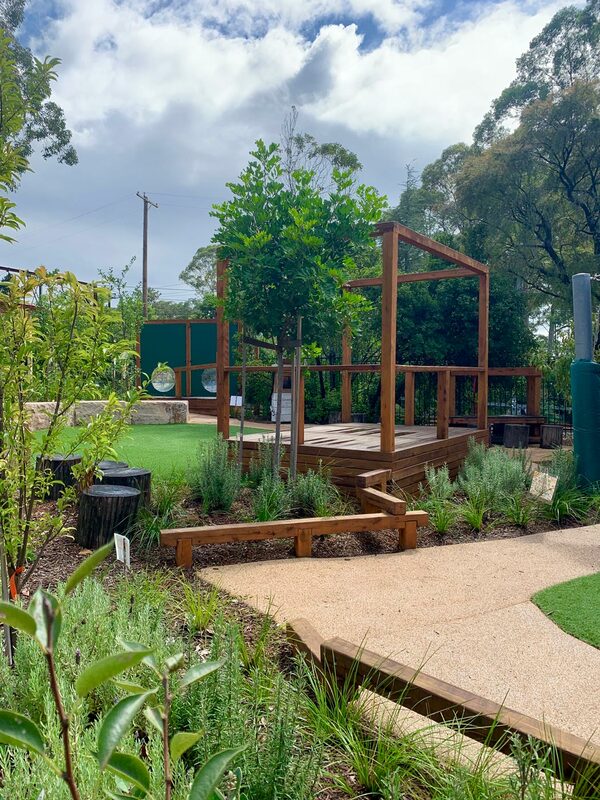 The gardens that divide these areas are brimming with produce – Apple trees, Stone fruit and Citrus sit above Blueberries, Thyme and Lavender, Native bush foods and a thriving productive garden, native bee hive and beneficial insect garden. 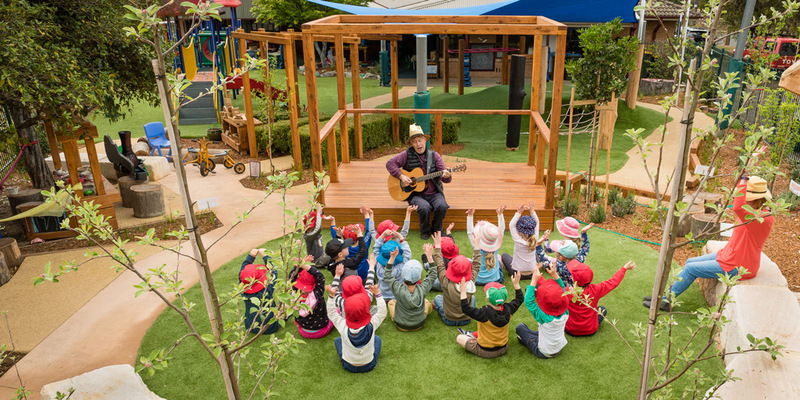 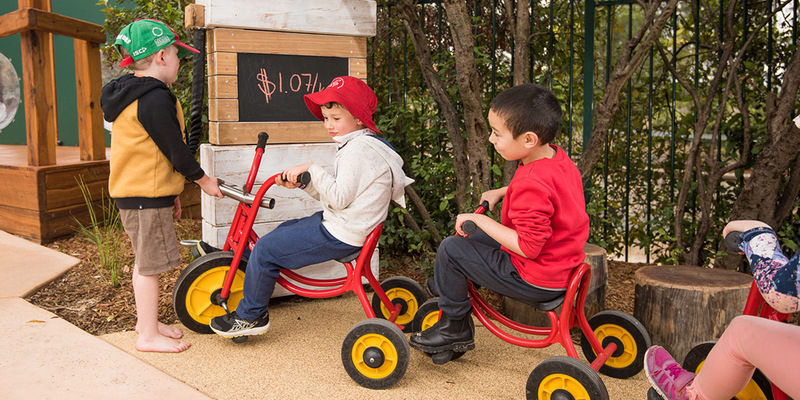 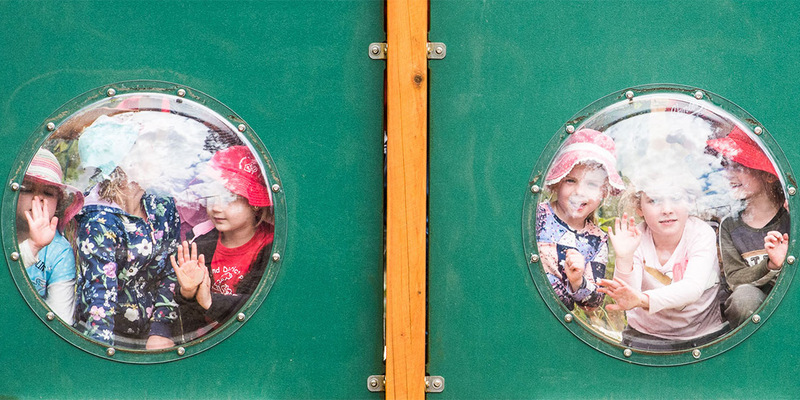 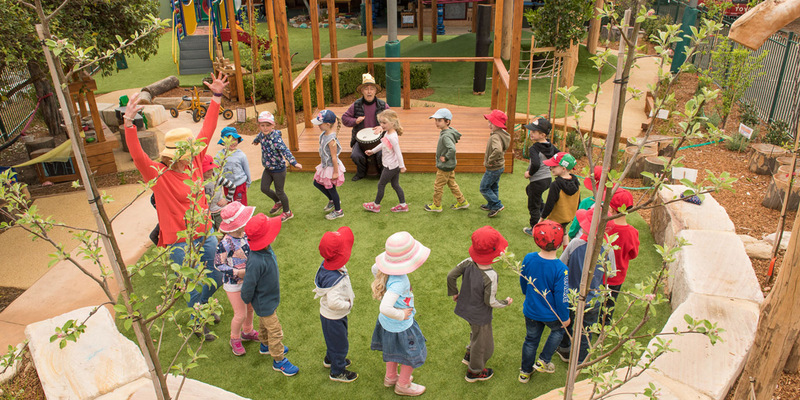 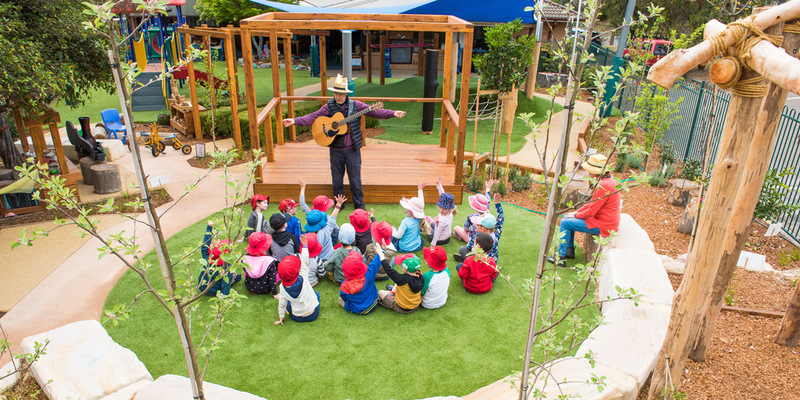 The garden is navigated by bike paths and a gross motor circuit, centred around a much loved performance stage and level grass platform and a series of passive play areas. 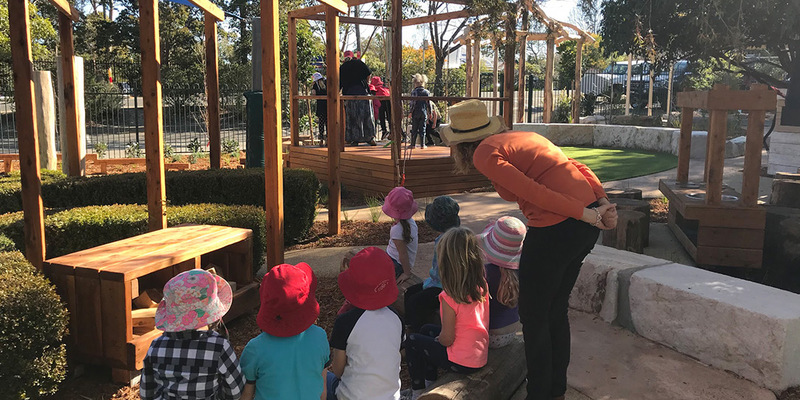 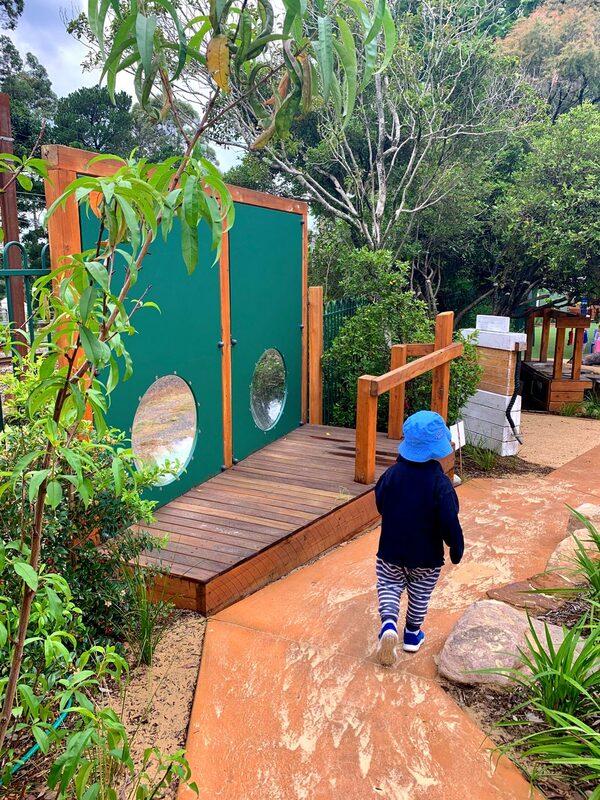 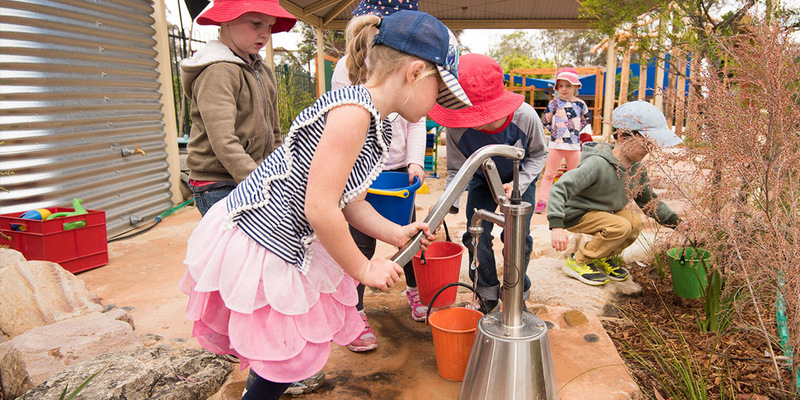 The modified sand pit incorporates a new dry creek bed and water play zone with a series of plinths, rocks and puddles for building sand play.